With over 70 combined years in the building and design industry, our design staff can quickly turn your ideas into customized plans. Rest assured, you will be involved every step of the way. Don't worry, we understand if ideas or plans need changing. From the first meeting to the completion of your home, we will answer any questions or concerns to make the building process stress free for you. You'll appreciate the level of workmanship rarely seen today, and our unique commitment to customer satisfaction. In fact, we're sure your quality built home will exceed your expectations. The all-inclusive quote that we proudly provide eliminates any surprises and guarantees your satisfaction with the finished home. Please contact us today to begin the process for your new first home, luxury home, vacation home, retirement home or remodeling project. 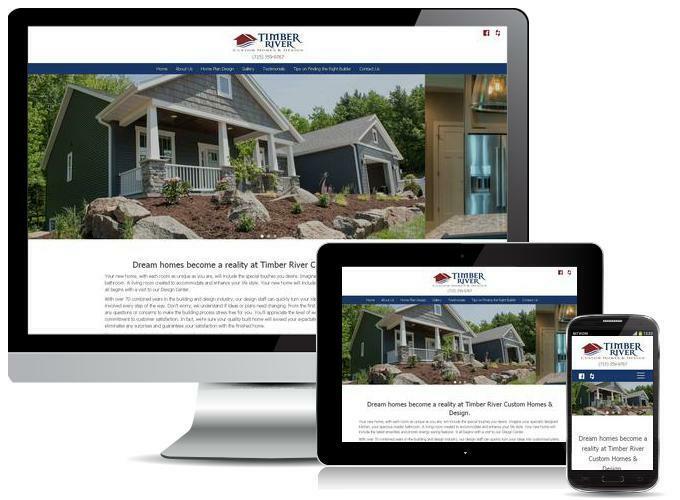 Call or email us, or stop in today for more information to see how Timber River Custom Homes & Design can turn your ideas and dreams into reality.